**Blood Pressure Monitor from sears. Price: $27.99. Discount: $84.01. Categories: Health, Blood, Pressure, Monitor. Deal Rating: 5 Stars out of 5. Store Rating: 5 Stars out of 5. Deal Recommendation: Recommended. Available Until: Limited Quantity. Thoughts: Clearance – Blood Pressure Monitor. Deal Score: 92 out of 100. 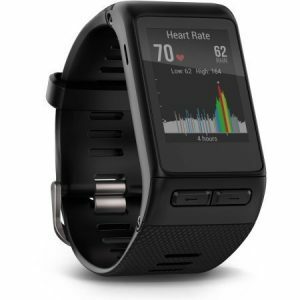 **Garmin Vivoactive HR – Black from walmart. Price: $179.99. Discount: $70.99. Categories: Health, Fitness, Heart Rate Monitor, Garmin. Deal Rating: 5 Stars out of 5. Store Rating: 5 Stars out of 5. Deal Recommendation: Recommended. Available Until: Limited Quantity. Thoughts: Clearance – Garmin Vivoactive HR – Black. Deal Score: 80 out of 100. 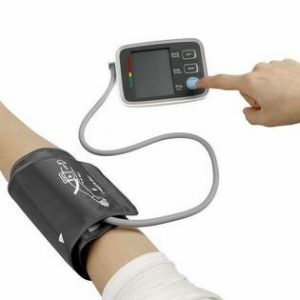 **BT4.0 Smart Upper Arm Blood Pressure Monitor with Automatic Cuff from lovdock. Price: $49.48. Discount: 60%. Categories: Health, Blood Pressure Monitor, Sponsored. Deal Rating: 5 Stars out of 5. Store Rating: 5 Stars out of 5. Deal Recommendation: Recommended. Available Until: Limited Quantity. Thoughts: Clearance – BT4.0 Smart Upper Arm Blood Pressure Monitor with Automatic Cuff. Deal Score: 80 out of 100. **Koogeek Smart Thermometer Dual Modes Non-contact Infrared Sensor from lovdock. Price: $21.43. Discount: 49%. Categories: Health, Smart Thermometer, Sponsored. Deal Rating: 5 Stars out of 5. Store Rating: 5 Stars out of 5. Deal Recommendation: Recommended. Available Until: Limited Quantity. Thoughts: Clearance – Koogeek Smart Thermometer Dual Modes Non-contact Infrared Sensor. Deal Score: 60 out of 100. 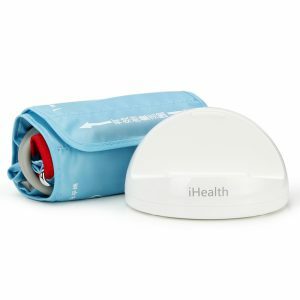 **iHealth Smart Gluco-Monitor Bundle from homehealthcareshoppe. Price: $56.99. Discount: $15.00. Categories: Health, Glucometer, Monitor, Bundle, Sponsored. Deal Rating: 4.5 Stars out of 5. Store Rating: 4.8 Stars out of 5. Deal Recommendation: Recommended. Available Until: In Stock. Thoughts: Includes: 1 iHealth Smart Gluco-monitor, 1 Lancing Device, 1 Control Solution, 2 Lancet Pack (50 Ct), 2 Test Strip Bottles (100 Ct), and a Travel Case. Connects to Android and Apple Smartphones. Syncs readings to iHealth Smart Gluco App, a mobile health app, so all your results are in one place. iHealth Smart Gluco App changes numeric data into trends and charts for easy understanding. LED display shows readings in 5 seconds. Holds 500 offline readings before needing to be synced. Rechargeable and takes 1 hour to fully charge. iHealth Test Strips (50ct) X2. Control Solution x1. Lancets (50ct) x2. **Omron Healthcare Vital Signs Monitor Blood Pressure – Singles from discountmedicalsupplies. Price: $85.37. Discount: 39%. Categories: Health, Medicine, Blood Pressure Monitor, Sponsored. Deal Rating: 4.8 Stars out of 5. Store Rating: 5 Stars out of 5. Deal Recommendation: Recommended. Available Until: Limited Quantity. Thoughts: S14 Memory, fits 13″-17″ Large easy-to-read digital display 2-year warranty Operates on 4 “C” batteries or AC adapter (both not included) AC adapter included. **Invacare Supply Group Deluxe One Touch Wrist Blood Pressure Monitor by Independence Medical from discountmedicalsupplies. Price: $110.99. Discount: 38%. Categories: Health, Medicine, Blood Pressure Monitor, Sponsored. Deal Rating: 4.8 Stars out of 5. Store Rating: 5 Stars out of 5. Deal Recommendation: Recommended. Available Until: Limited Quantity. Thoughts: Deluxe One Touch Digital Wrist Blood Pressure Monitor . Features: Professional accuracy at home, and great for travel. Compact unit provides quick and comfortable blood pressure and pulse readings. Large digital screen displays systolic / diastolic reading and pulse rate. 90-memory recall displays average readings. Features Pressure Rating Indicator , irregular pulse detection, inflation meter, and low battery indicator. **Health Smart Semi-Automatic Arm Digital Blood Pressure Monitor by Briggs Healthcare from discountmedicalsupplies. Price: $30.25. Discount: 32%. Categories: Health, Medicine, Blood Pressure Monitor, Sponsored. Deal Rating: 4.5 Stars out of 5. Store Rating: 5 Stars out of 5. Deal Recommendation: Recommended. Available Until: Limited Quantity. Thoughts: Semi-Automatic Digital Arm Blood Pressure Monitor. Is a regular cuff Medical arm device to take blood pressure and pulse. Portable and easy to use at home. Recognizes and stores information for 1 user. Remembers a total of 60 past readings. Average of past 3 readings. **HEM432CN2 Manual Inflation Monitor from discountmedicalsupplies. Price: $33.05. Discount: 31%. Categories: Health, Medicine, Blood Pressure Monitor, Sponsored. Deal Rating: 4.5 Stars out of 5. Store Rating: 5 Stars out of 5. Deal Recommendation: Recommended. Available Until: Limited Quantity. Thoughts: HEM432CN2 Manual Inflation Monitor Features: manual inflation monitor. **Omron Healthcare Manual Blood Pressure Monitor, 1-Tube Adult Arm – Singles from discountmedicalsupplies. Price: $35.80. Discount: 33%. Categories: Health, Medicine, Blood Pressure Monitor, Sponsored. Deal Rating: 4.5 Stars out of 5. Store Rating: 5 Stars out of 5. Deal Recommendation: Recommended. Available Until: Limited Quantity. Thoughts: Manual Inflation Blood Pressure Monitor by Omron / Marshall Products. Clinically proven accuracy. 14 memory storage. Easy to squeeze bulb for fast manual inflation. Easy to apply D-ring cuff for arm sizes 9″ to 13″ in circumference. Operates on 4 AA batteries (not included). 1-year limited warranty. Color: Gray. Single tubing. Each. **OneTouch Verio Flex Blood Glucose Monitoring System by Lifescan from discountmedicalsupplies. Price: $33.25. Discount: 47%. Categories: Health, Medicine, Blood Glucose Monitor, Sponsored. Deal Rating: 4.5 Stars out of 5. Store Rating: 5 Stars out of 5. Deal Recommendation: Recommended. Available Until: Limited Quantity. Thoughts: The OneTouch Verio Flex Blood Glucose Monitoring System is intended to be used for the quantitative measurement of glucose (sugar) in fresh capillary whole blood samples drawn from the fingertip. The OneTouch Verio Flex™ Blood Glucose Monitoring System is intended for self-testing outside the body (in vitro diagnostic use) by people with diabetes at home and with their healthcare professionals in a clinical setting, as an aid to monitor the effectiveness of diabetes control. The OneTouch Verio Flex™ Blood Glucose Monitoring System is not to be used for the diagnosis of or screening of diabetes or for neonatal use. **OneTouch Ultra 2 Blood Glucose Monitor System by Lifescan from discountmedicalsupplies. Price: $119.75. Discount: 56%. Categories: Health, Medicine, Blood Glucose Monitor, Sponsored. Deal Rating: 4.5 Stars out of 5. Store Rating: 5 Stars out of 5. Deal Recommendation: Recommended. Available Until: Limited Quantity. Thoughts: One Touch Ultra 2 Blood Glucose Monitoring System shows how food affects the blood glucose. Features like before and after meal averages can make it easy to manage diabetes around meals. Results are delivered in just 5 seconds. Two-way scrolling buttons and new backlight make it easy to read and operate. Just a speck of blood (1 microliter) is required for sampling with alternate site testing available on your finger, forearm, or palm. Meter can be set to operate in Spanish. Free simple Start™ Diabetes Education Booklet and DVD included with every meter. Stores up to 500 blood glucose tests. Kit includes: OneTouch® Ultra2 Meter (batteries included), Owner’s Booklet/Quick Reference Guide, Warranty Registration Card, OneTouch® Ultra® Control Solution and Insert, OneTouch® UltraSoft® Blood Sampler, OneTouch® UltraClear® Cap, OneTouch® UltraSoft® Sterile Lancets and Carrying Case. Uses two 3.0 Volt CR2032 lithium batteries (or equivalent). Three-year warranty. For use with OneTouch® Ultra® Test Strips. **Accu-Chek Compact Plus Meter Kit Self-Coding by Roche Diagnostics from discountmedicalsupplies. Price: $108.75. Discount: 48%. Categories: Health, Medicine, Blood Glucose Monitor, Sponsored. Deal Rating: 4.5 Stars out of 5. Store Rating: 5 Stars out of 5. Deal Recommendation: Recommended. Available Until: Limited Quantity. Thoughts: All-in-one convenience. The meter provides fast, accurate results in 5 seconds and features a bright backlit display that’s easy to read in low light. No coding means fewer steps. Load-and-go drum of 17 preloaded test strips fits inside for no individual strip handling. The detachable ACCU-CHEK Softclix Plus lancing device uses precision-guided technology to minimize painful side-to-side motion. Includes meter with drum of preloaded strips, detachable lancing device, carrying case, batteries, lancets, and self-test diary.